Do You Pay Capital Gains Tax on Gold Bullion? Capital Gains Tax or CGT is a tax on the gain or profit you make when you sell, give away or otherwise dispose of something. It applies to assets that you own, such as bullion, shares or property, which are worth £6,000 or more in value. There is a tax-free allowance and some additional reliefs that may reduce your Capital Gains Tax bill. Most bullion investors will never have to pay this tax due to the size and value of their investment, but it is important that investors know where they stand. Capital Gains Tax is only payable if an investor realises over £11,700 of profit in one financial year. Be mindful that the £11,700 limit is not the total value of selling your bullion but the profit made from your original outlay. Example: If an investor bought some gold in 2013 for £30,000 and sold it in 2014 for £41,200, no Capital Gains Tax would be due as the CGT rate was £11,300 that year. This single transaction would constitute nearly all of the investors full tax free allowance for the year however. Any profit made that took the seller over the limit would be taxable at a rate between 20-28%. Please note: the tax free limit of £11,700 is only set for the financial year of 2018-2019 and is reviewed every year. Click here to access the Capital Gains Tax section of the HMRC website for more information. It is the responsibility of the individual investor and not that of BullionByPost to declare any Capital Gains Tax payable. We advise that you speak to your accountant in further detail to ensure your personal financial situation is in working order. Are there any CGT exempt bullion products? The simple answer is yes. Capital Gains Tax is exempt on all British legal currency. 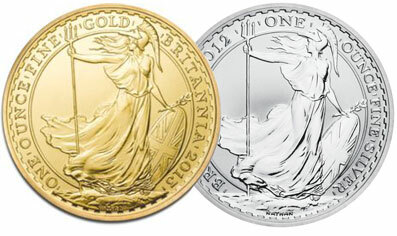 This includes Gold Britannia coins, Silver Britannia coins and Gold Sovereigns. This means you can make an unlimited tax-free profit on investments of any size and value on ALL of these British legal currency bullion coins. CGT is payable on all other gold and silver coins which do not fall into the category. All gold and silver bullion bars are taxable. View our full range of Capital Gains Tax Free Gold Coins. How to Avoid Paying Capital Gains Tax on Gold? Many investors choose to invest in smaller unit gold coins or smaller bars in order to pay no CGT, or as little CGT as possible when selling. This can be avoided or minimised by part-selling bullion over more than one financial year. For example, if an investor bought £60,000 of gold coins in 2012 which by 2014 were worth £80,000, instead of realising the full £20,000 profit right away, the investor could sell half the coins in 2014 for a £11,000 tax free profit and sell the remaining gold coins in another financial year. Please take into consideration that the gold price is constantly changing so the remaining gold coins could be worth less (or more) in another financial year. This is a problem that is unlikely to be an issue when realising the value of silver due to the substantially lower unit prices associated with silver bars and coins. 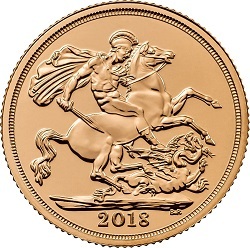 Despite British gold coins attracting a slightly higher premium than Krugerrands, it is advised that most UK investors buy Gold Sovereigns and Half Sovereigns for smaller units, and Gold Britannia coins for larger 1oz units. Both British gold coins are Capital Gains Tax exempt and offer the ultimate flexibility for investors. investment would be up to £28,000. Obviously if the gold price continued to increase and the investor chose to hold on to their gold the tax savings could be even greater. If you have any questions about gold bullion investment, please feel free to contact our knowledgeable and friendly team on 0121 634 8060 who will be happy to talk your through any queries you may have. Alternatively, you can email us at [email protected] and we will get back to you as soon as possible. Why Buy Gold from Us? | How to Buy Gold from Us? | Should I Buy Gold and Silver?